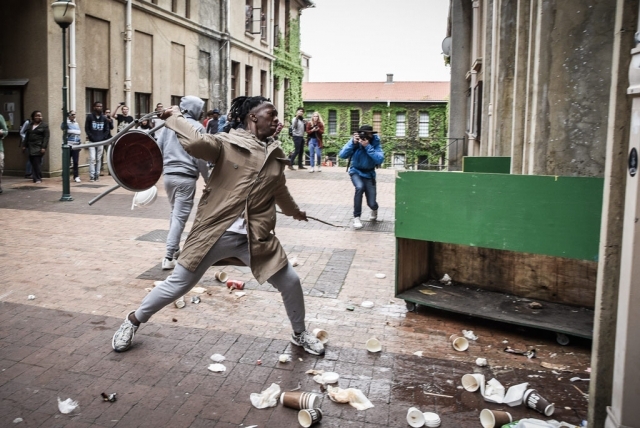 Universities South Africa (USAf) estimates that the damage caused by the #FeesMustFall protests over the last year-and-a-half will cost around R700-R800 million to repair. USAf is working on estimates which incorporate the damages caused by the latest protests, which are continuing. 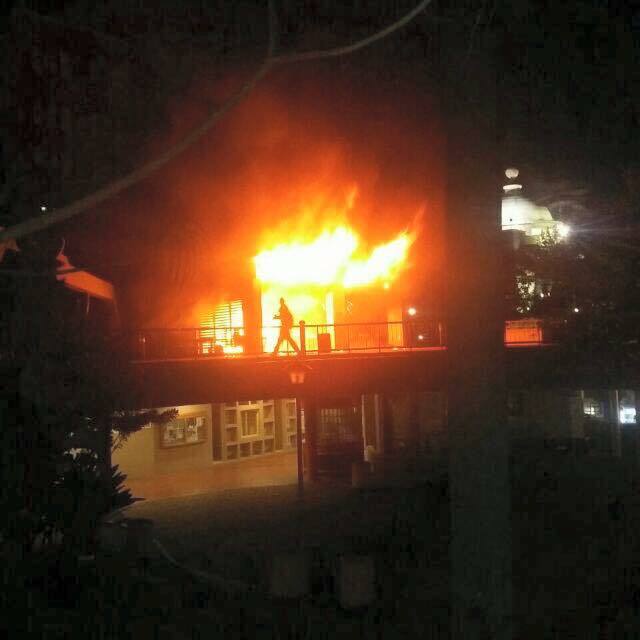 In the latest incidents at Rhodes University, two exam venues and the tennis club were set alight. In Johannesburg, protesting students set alight vehicles – including a public bus and a police vehicle. MyBroadband asked South African universities how much damage they have suffered because of the #FeesMustFall campaign – the figures they, and the Department of Higher Education, supplied are detailed below. Students burnt down UJ’s auditorium in May 2016, causing an estimated R100 million in damages. 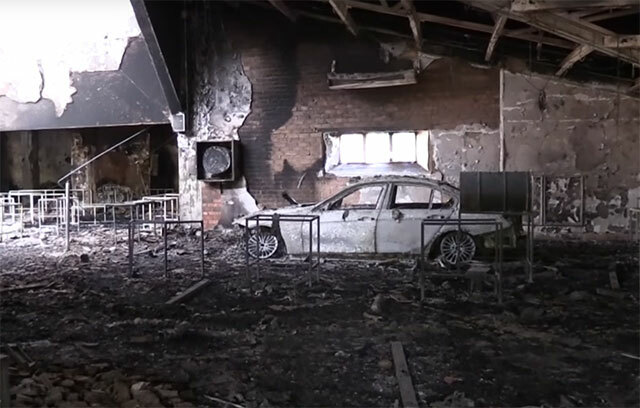 They also burnt down a laboratory, which will cost approximately R20 million to repair. Other damages include burning down three cleaner change rooms, a guard house, and an external property. Numerous properties were also vandalised. 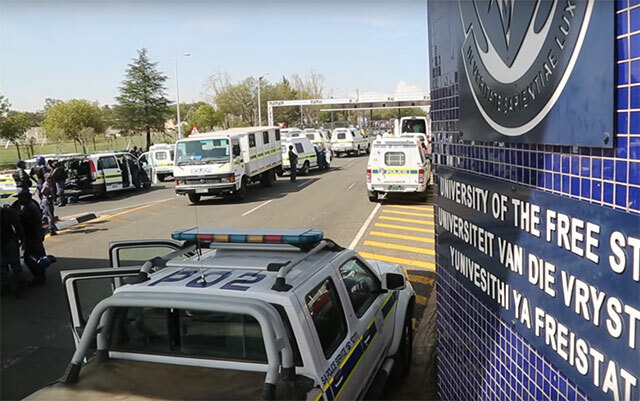 “In the space of the last two weeks, we have had several arson incidents that were all fortunately detected early,” said UJ. The latest incidents include two lecture venues being damaged and windows being broken. Protests continue at UKZN, and the R82,000,000 figure provided by the Department of Higher Education in April is higher now. In September, protesters burnt down the law library at Howard College. In October, a coffee shop at the Howard campus was torched. The William O’Brien residence was also set alight. 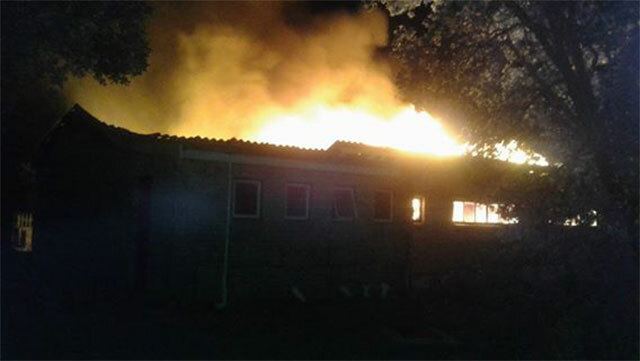 Damages at North West University occurred at its Mafikeng Campus. The Vaal Triangle Campus suffered a few broken windows, and there were no damage at the Potchefstroom Campus. The damages between 21 and 30 October 2015 amounted to R743,734. Damages that occurred between 15 and 25 February 2016 amounted to R52,602,435. This includes damages to the administration building, science centre, bursary office, entrance, and house parents’ residence. Damages on 20 September 2016 are estimated at R700,000, and include damage to the main gate, gate monitors, and cameras at the main entrance. In April 2016, the Department of Higher Education said damage to UWC was R46,000,000. This figure does not include damages caused in 2016. 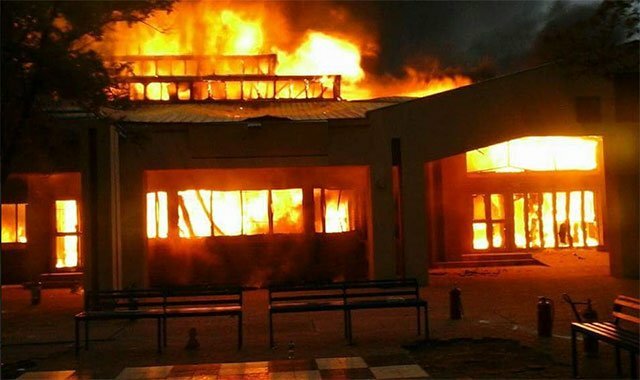 Last year, protesting students set alight two buildings at the university. 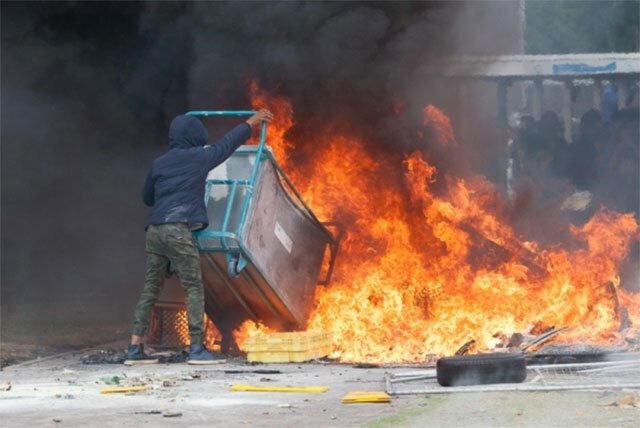 The latest damages include vandalising the electronics in buildings, broken windows, looting shops, graffiti, fire damage to buildings, and broken doors and gates. Damages to NMMU since the #FeesMustFall movement began a year ago are estimated at R6.6 million. In October, the Xanadu Melody clubhouse on the university’s South Campus was torched. 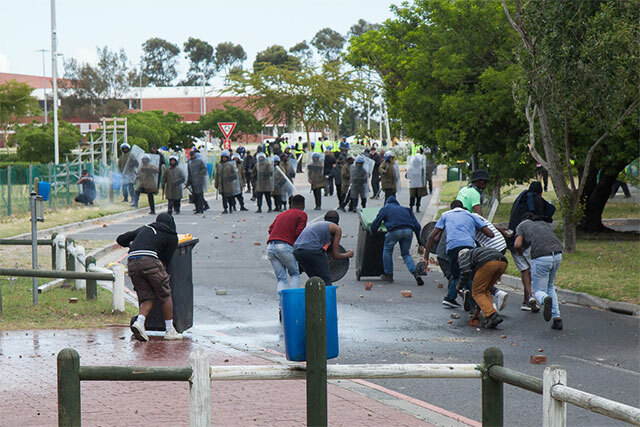 According to The Herald, NMMU’s South and North campuses “have been left resembling war zones”. In April 2016, the Department of Higher Education said the damages to TUT were estimated at R5,073,747. 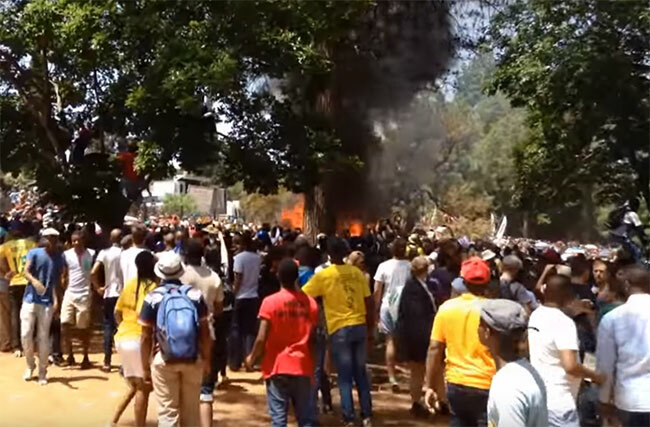 Recent protests saw students at the Pretoria West and Garankuwa campuses blocking entrances using burning tyres. 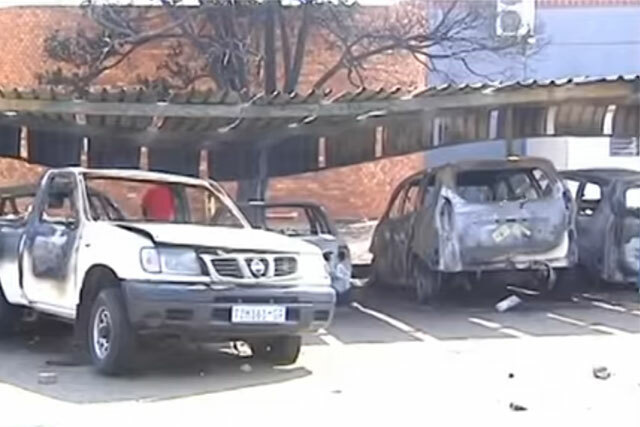 These students also attacked taxi drivers and set cars alight. 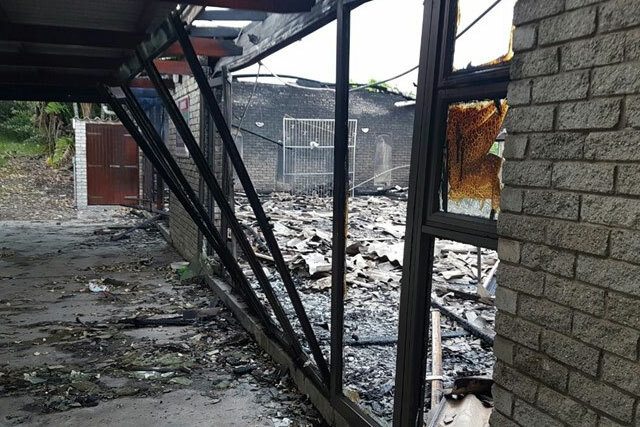 In April 2016, the Department of Higher Education said damages to the University of Zululand were estimated at R4,500,000. 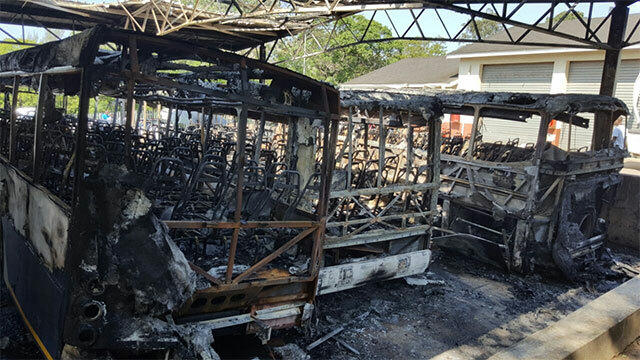 In September, several buildings at the University of Zululand were set alight and many vehicles torched. The total cost of damages caused by recent protest action, which started in September 2016, is yet to be determined. 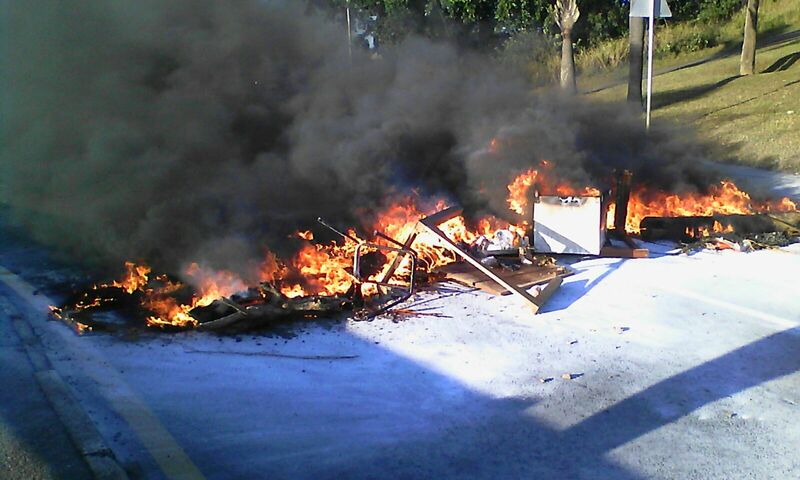 The damages include a Toyota bakkie, used by students and researchers in the Geological Sciences Department, being destroyed by fire. Arson is suspected. Vents from the specialised air filtration system worth millions and located in the Geological Sciences building took in fumes and smoke from the fire. There has also been cases of broken doors and smashed windows. 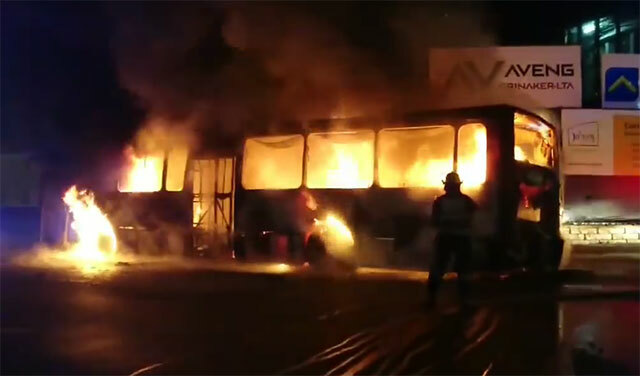 This week, four privately-owned vehicles were set alight. In February 2016, the value of damage to property amounted to R3.2 million. 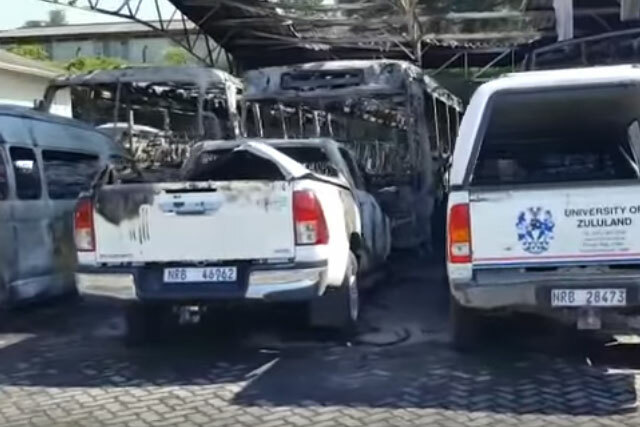 A Jammie shuttle bus and a bakkie, used by students, were burnt, while the Vice-Chancellor’s office in the Bremner Building was petrol bombed. 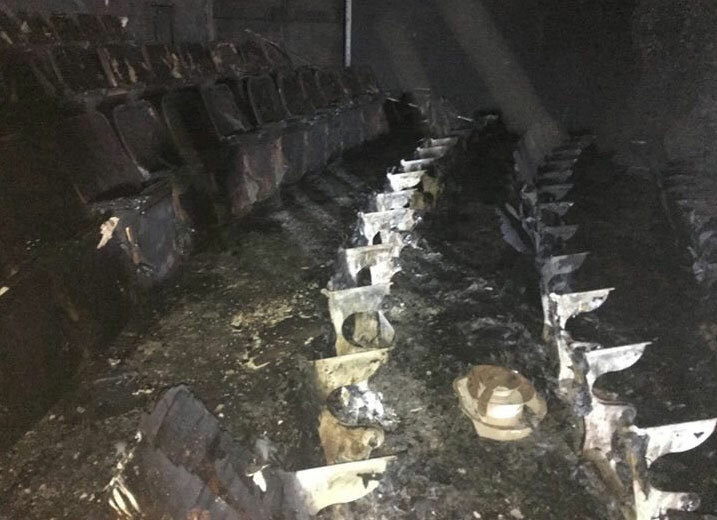 Historic paintings of priceless cultural and historic value were destroyed, statues and signage were damaged, and a number of windows were smashed. 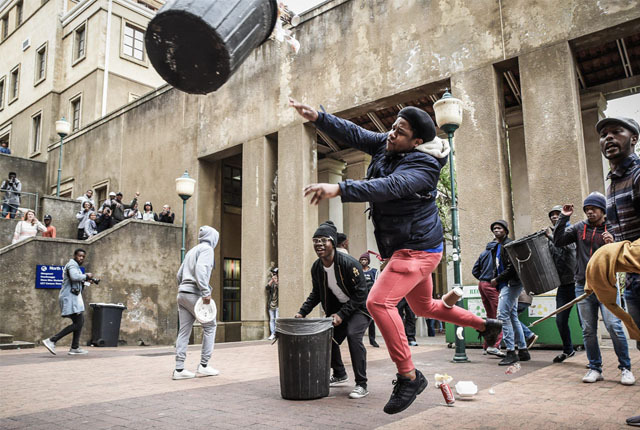 In April 2016, the Department of Higher Education said the damage to the university was R2,800,000. 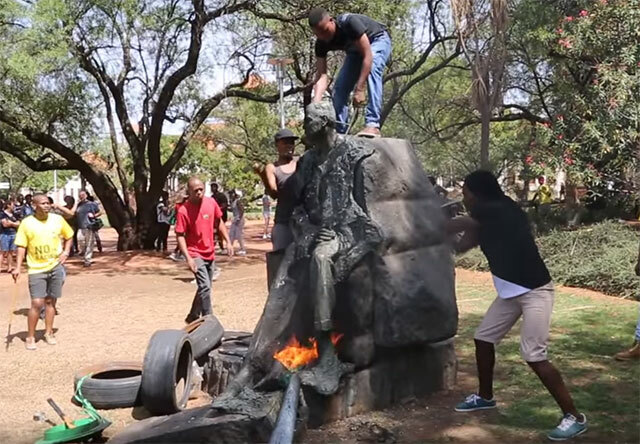 In February, students damaged the statue of late politician Charles Robberts Swart. 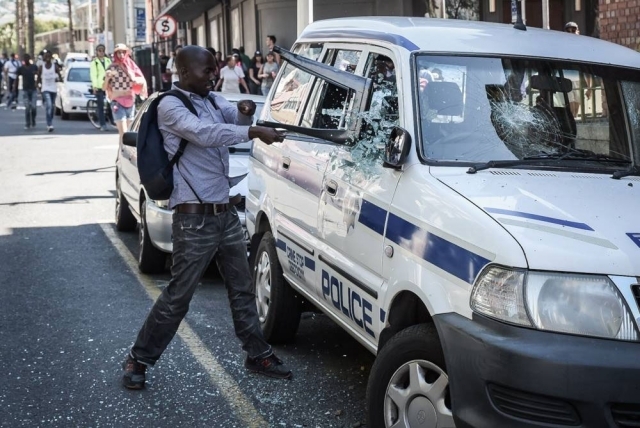 Wits suffered R332,000 in damages in 2015, including vandalised fire extinguishers, fire hydrants, fire hose reels, toilets, becnhes, bins, and windows; flooding; damage to light fittings; and graffiti. 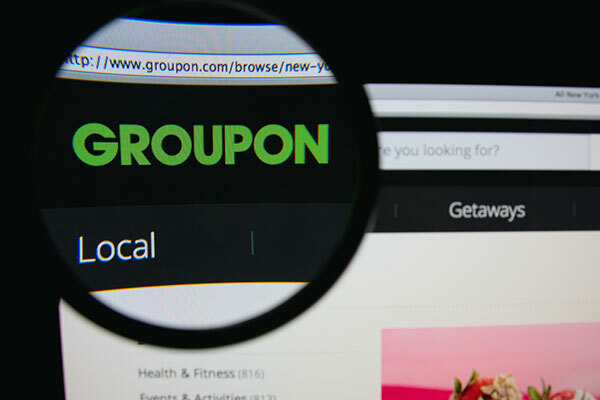 Damages that occurred before September 2016 amounted to R412,000. The estimated cost of damages to a lecture room that was burnt are approximately R1.3 million. 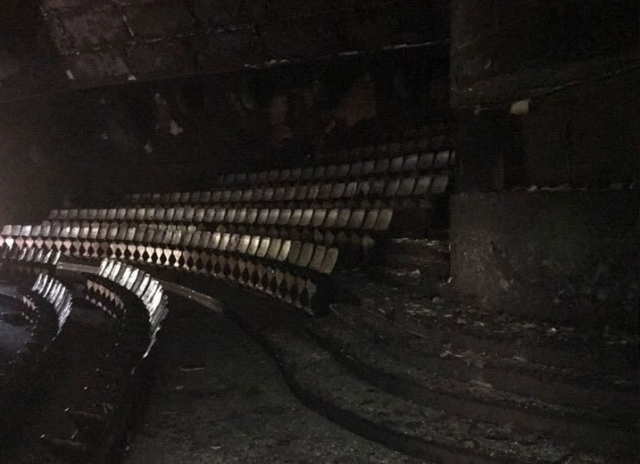 The Umthombo Building Lecture Theatre on the Braamfontein Campus East was also set on fire. University managers are still calculating the cost of repairing the damages that occurred due to protests which started in September 2016. 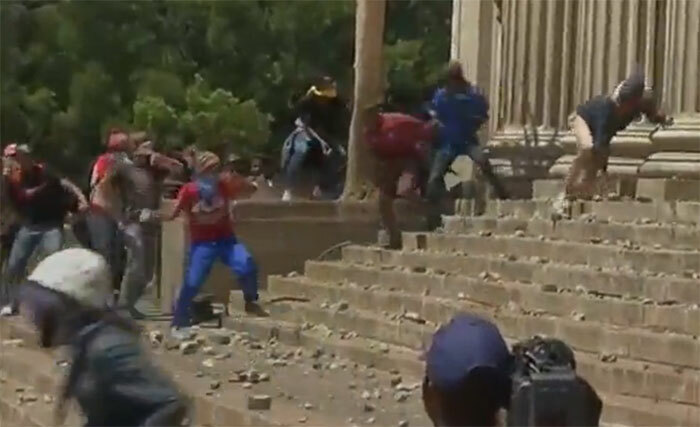 In April 2016, the Department of Higher Education said damage to Rhodes University was at an estimated R250,000. 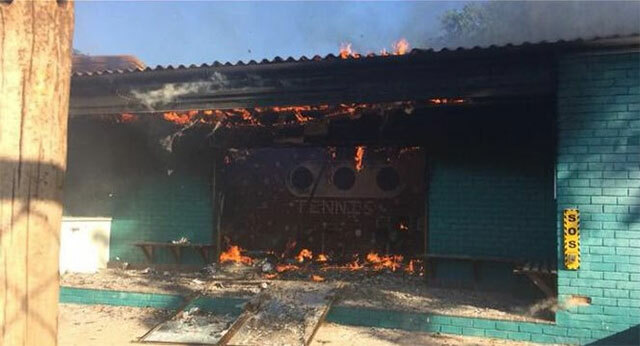 This figure is set to climb after students burnt down two exam venues and a tennis club. 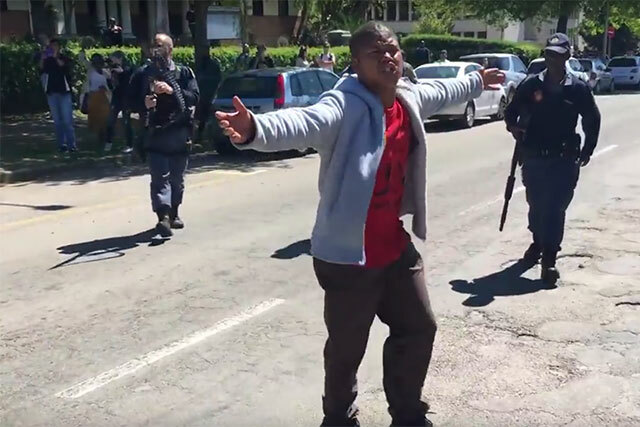 “At the moment, we are reviewing damages as they occur, but we do not have a rough estimate available yet,” said Rhodes University.